On Thursday 25 October, we are partnering with Pregnant Then Screwed on our first Pregnant Then Elected event to encourage more mums to kick start a career in politics. 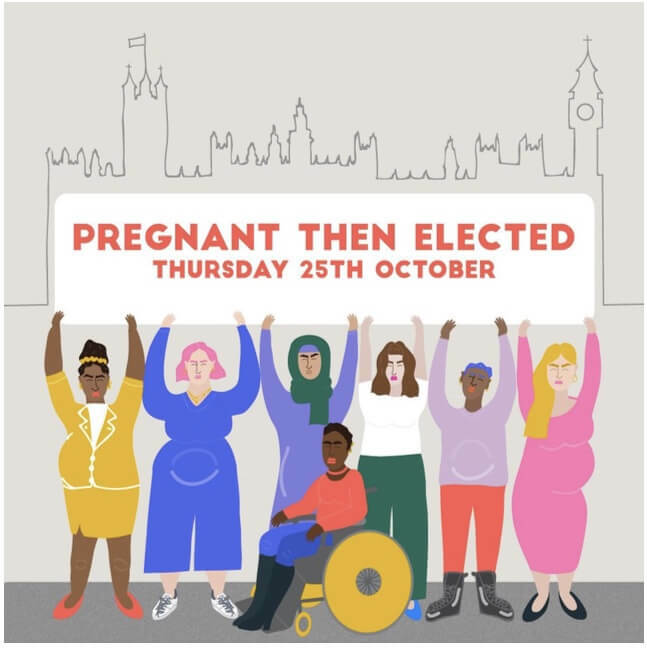 Following Jo Swinson MP being subjected to maternity discrimination by our own government, we want to encourage and support more mums to have a political career. Only 32% of MPs are women and 45% of women MPs have no children, compared to 28% of male MPs and compared to 20% of the overall population. 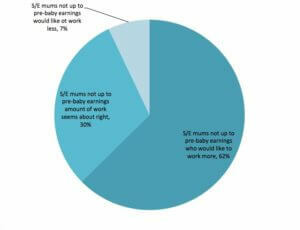 The most senior women in politics, like Theresa May and Nicola Sturgeon, do not have children. 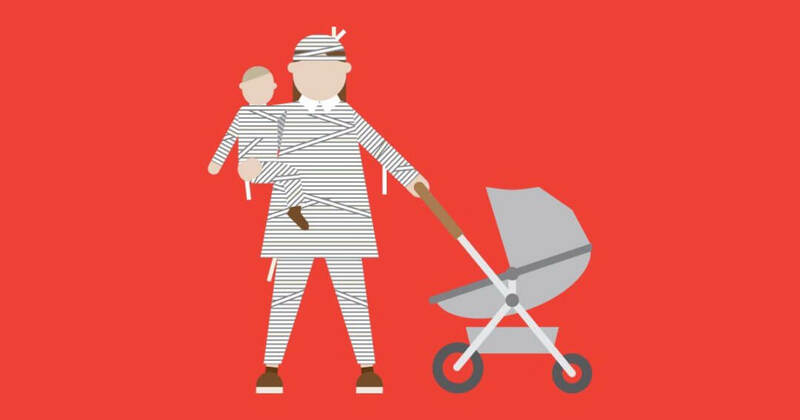 We will discuss the specific challenges mothers encounter, why it is important we have more mums in Westminster, how to make your voice heard, how to overcome the various barriers, and we will demystify the process. The event will be non-partisan. 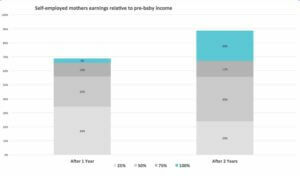 We will also talk through the lifecycle of a successful campaign, using Parental Pay Equality as an example. 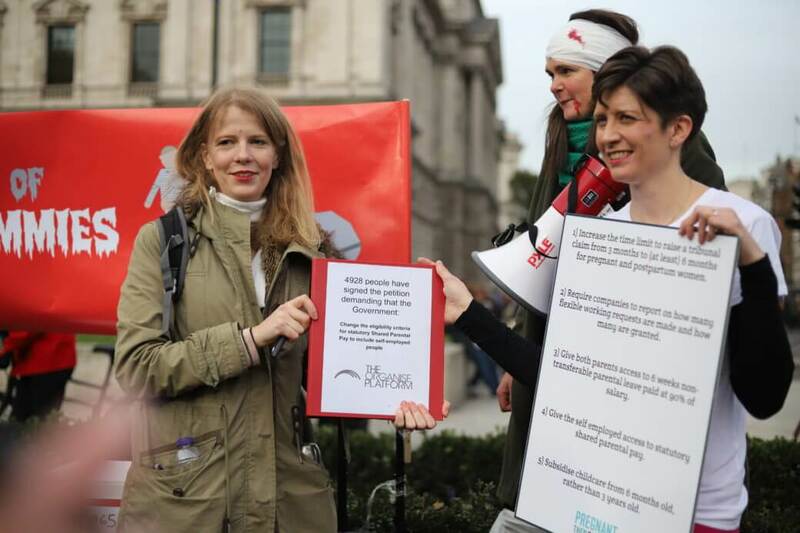 Tickets for Pregnant Then Elected are free, but if you can afford it there is a suggested donation of £15 to Pregnant then Screwed. Children: Children and babies are very welcome to the event, though there aren’t any childcare facilities. Drinks (alcoholic and non alcoholic) will be available as well as some crisps and nuts. Spoken word artist, Amber Rose, will be reading some of her hard-hitting poetry. Amber is a Brighton-based single mum who is passionate about mental health, motherhood and healing from abusive relationships. 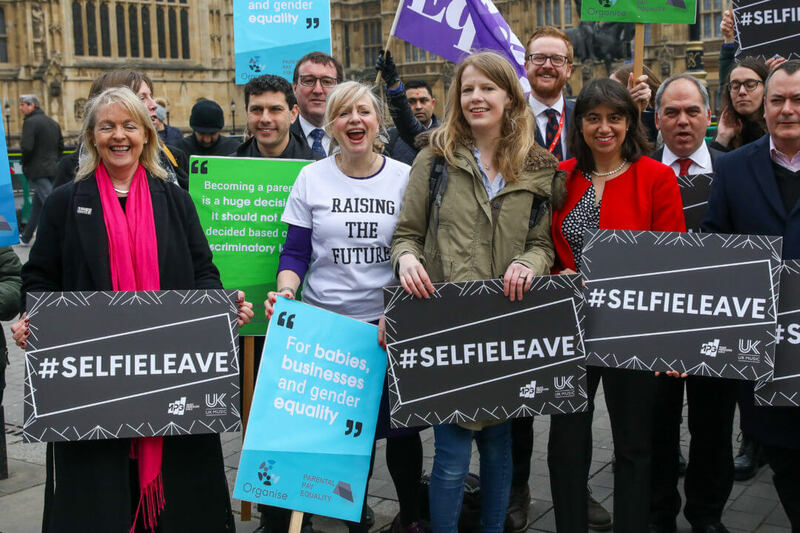 The Shared Parental Leave and Pay Extension Bill, aka Tracy Brabin MP’s #SelfieLeave Bill was mentioned in 3 separate parliamentary debates in Westminster within a fortnight. 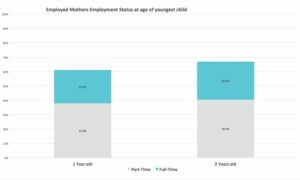 On May 1st Kevin Brennan MP asked the Minister in charge of Shared Parental Leave, Andrew Griffiths MP, about extending shared parental leave to the self-employed. On April 18th Tracy Brabin asked ministers to look into it as a means of closing the gender pay gap during Harriet Harman’s UQ on the gender pay gap. 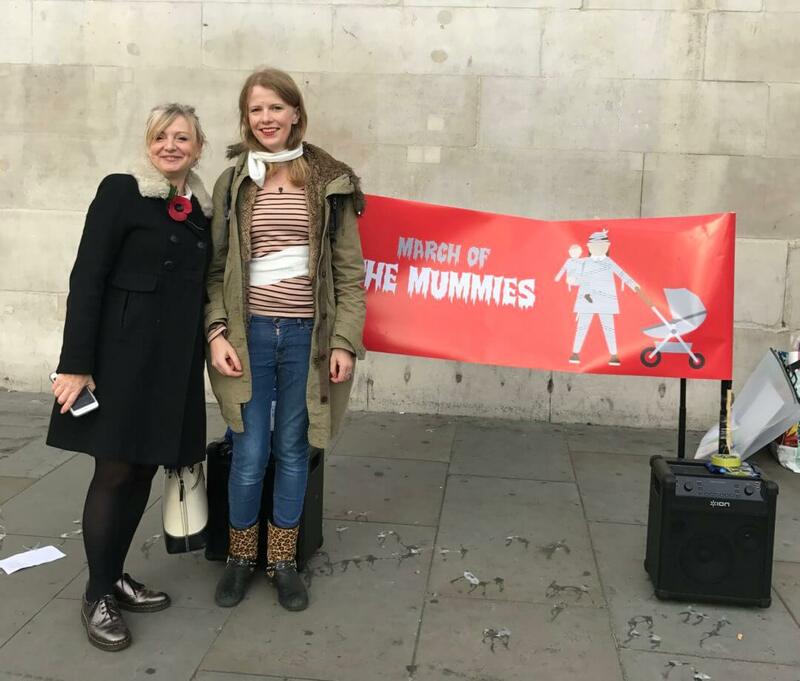 On Wednesday 21st Feb, MPs, celebrities and membership organisations gathered outside parliament to support Tracy Brabin MP’s 10-minute rule bill to extend shared parental leave and pay to the self-employed. The event was attended by musicians Alt-J, The Big Moon, Fyfe Dangerfield, Kirsty Mangan and Ed Harcourt, Actor and PIPA Ambassador Lisa McGrillis, as well as representatives from UK Music, the MU, Equity, IPSE, PIPA, Women in Film and TV and Raising Films, and a number of cross-party MPs.